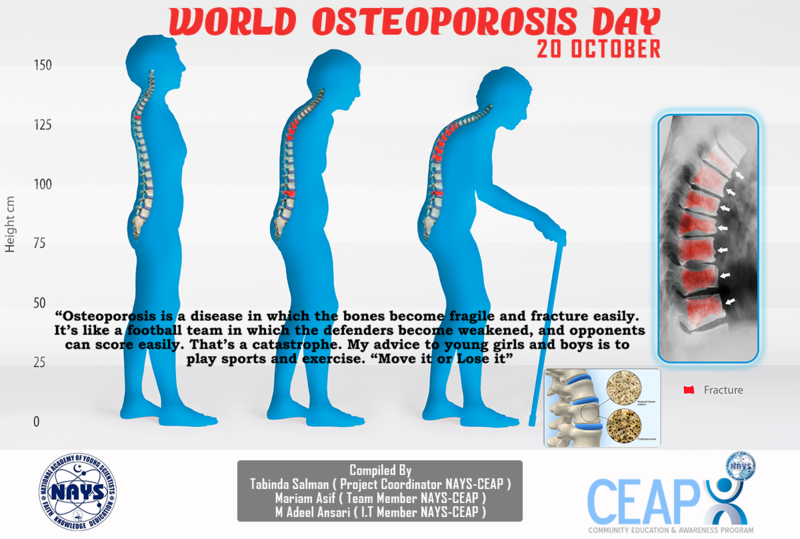 Did you know Oct 20th is World Osteoporosis Day? Just as people are now broadly questioning the use of cholesterol-lowering drugs, I believe the use of osteoporosis medications will soon be under fire. • Did you know these bone health drugs work by poisoning one of the two types of cells charged with maintaining bone health? • Did you know that Vitamin D can cause osteoporosis? • And finally, that Calcium is not proven to prevent osteoporosis? I have been taking TA65 md 2 tablets per night as advised. 35 tablets so far. of pain when starting out in the morning. Would limp for a while until it got worked in. It seems that most of the morning pain is gone and limping gone too. I have also had some pain in my left leg, hip areas for about a year. My Left knee would always ache. Both those pains are almost gone. I am a auto mechanic of 30 yrs. now. Constantly racking cars and bending and lifting wheels etc. all day long. I have not felt this good since I can remember. Patty and I started taking RECHARGE about 8 weeks ago. We had noticed very big improvements during that initial month. I am 53 years old. While I have worked as a police officer for the past 26 years, I have also been busy for the past 11 years building a house, garage, cabin, etc. I have also led a somewhat active lifestyle with 4wheeling, snowmobiling, hunting, etc. In essence, I have abused my body with activity. For about a month prior to taking RECHARGE, my right knee was becoming more and more sore and just under the lower right portion of my kneecap, I had a very sore spot. In fact, if I even touched it, it sent a burning sharp pain up and down my leg. I could no longer kneel even with knee pads. Within days of taking RECHARGE, the pain started going away and within about 10 days, all the pain was gone and I couldn’t even find where it had been sore. My outlook improved, I had more energy and it seemed as if I was losing weight, although I didn’t step on the scale. When we ran out, I noticed after several days, that both knees were becoming sore again, not the pain I had previously, but just weren’t bending as well and a little sore. I had stopped wearing knee pads and had to start wearing them again to kneel. I lost some of the energy I had gained. Now that we are back taking RECHARGE, it has been about 2 weeks now and once again, I have no pain in my knees, I feel good and have energy back. Oh, and yes, while taking RECHARGE, my dreams are very vivid and sometimes very unusual, but I sleep well and look forward to sleeping.